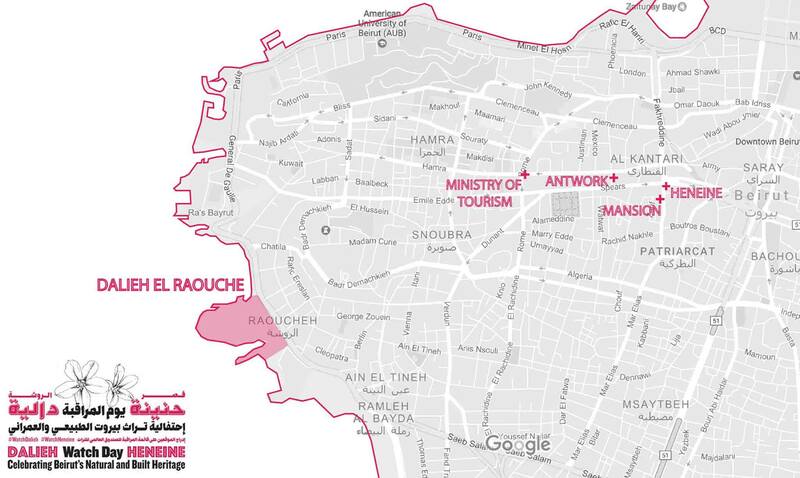 Beirut activists are fighting hard to preserve two of the city’s key heritage sites and you can support them by attending a series of events they have prepared this week. 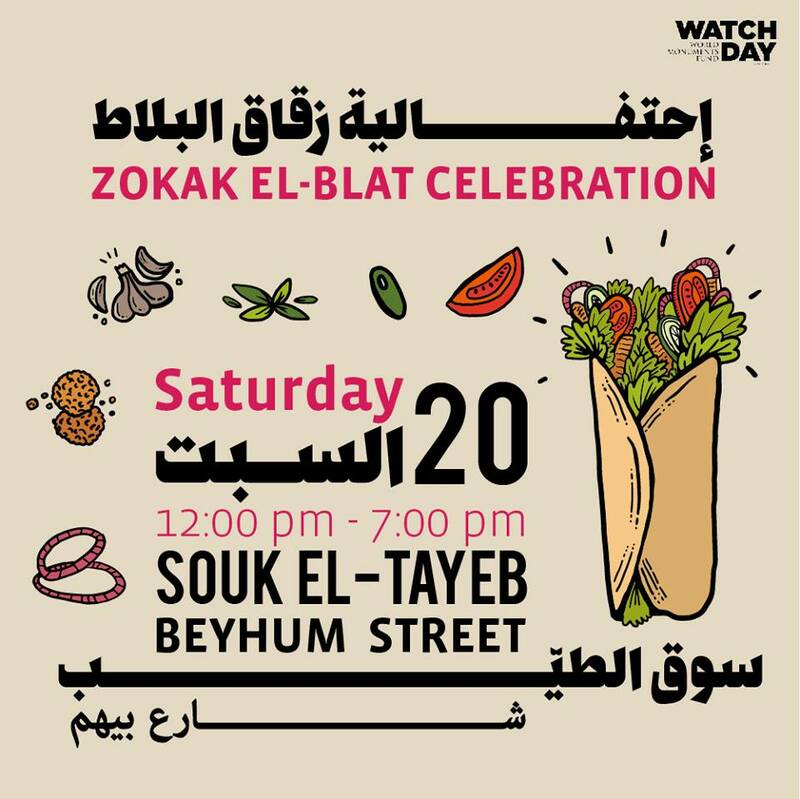 The events are actually FREE (another endangered thing in Beirut) so all you have to do is show up. Scroll down for full schedule. 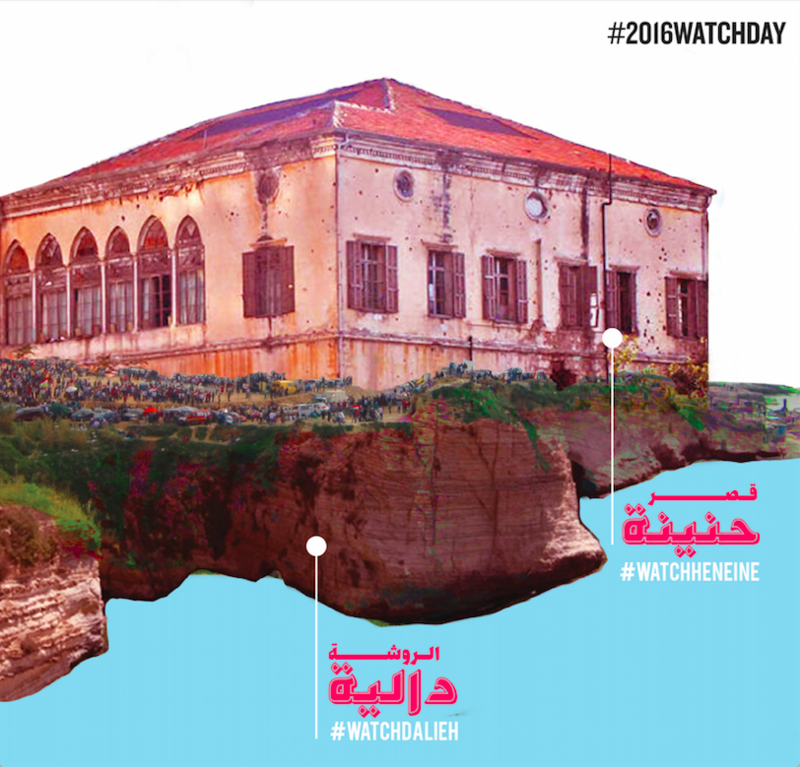 Following several years of pro bono organizing, lobbying, researching and fundraising, volunteer urban activists have managed to put two Beirut sites on the list of 50 endangered sites worldwide as listed by the World Monument Fund’s Heritage Watch Day. 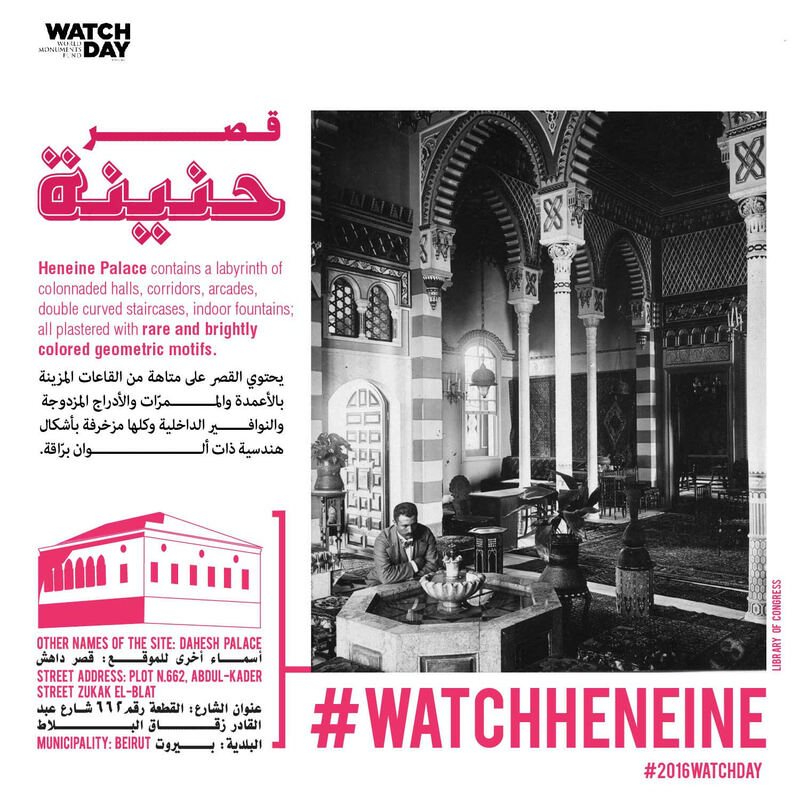 To bring public and media attention to these rare surviving spaces, they have put together an impressive schedule of art exhibitions, films, music, food, cultural, environmental and educational events around Watch Day. 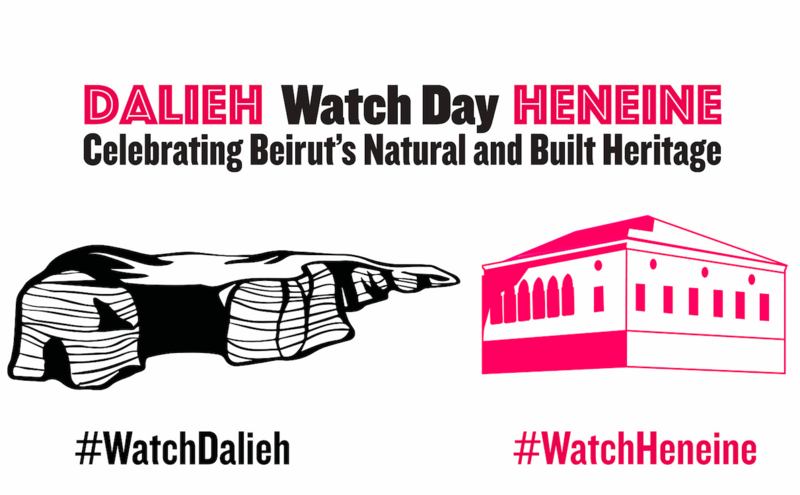 Follow the Heritage Watch Day Facebook page for updates. 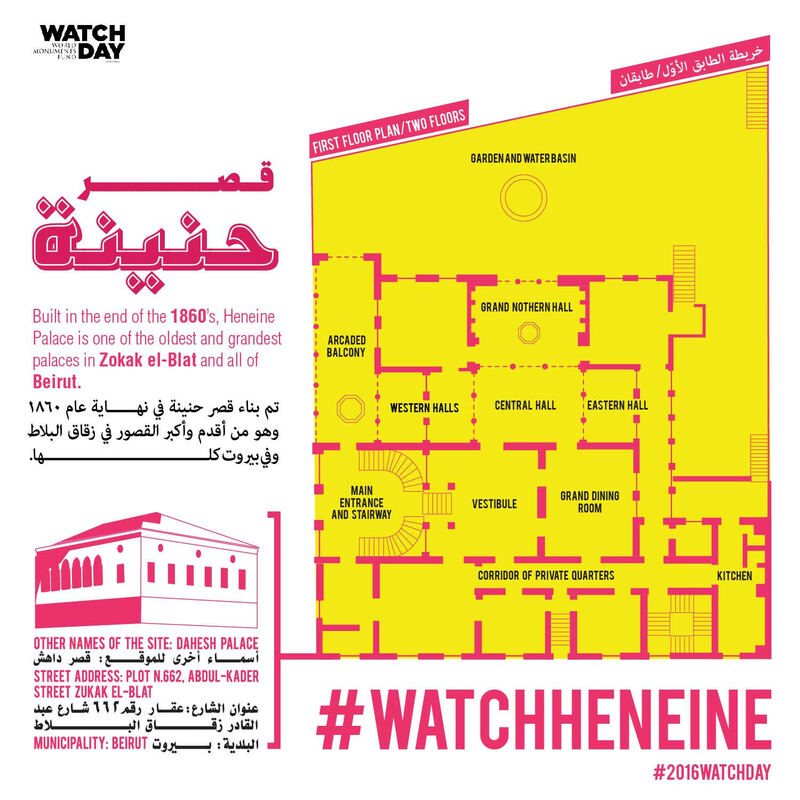 The two endangered sites are Dalieh of Raouche peninsula, the only remaining natural headland in Beirut with a 7,000 year history; and Heneine Palace, one of the largest and only remaining buildings from the 1800s left in the city today. Both sites are threatened by private developers. Both sites are part of vanishing historic neighborhoods. Both sites tell a story-a million stories- about us, our ancestors, our city, our country, our humanity. Both sites need your support, your pictures, your social media posts, your feet on the ground, to demonstrate that these places are important, valued and popular enough that demolishing them will cause a public uproar. 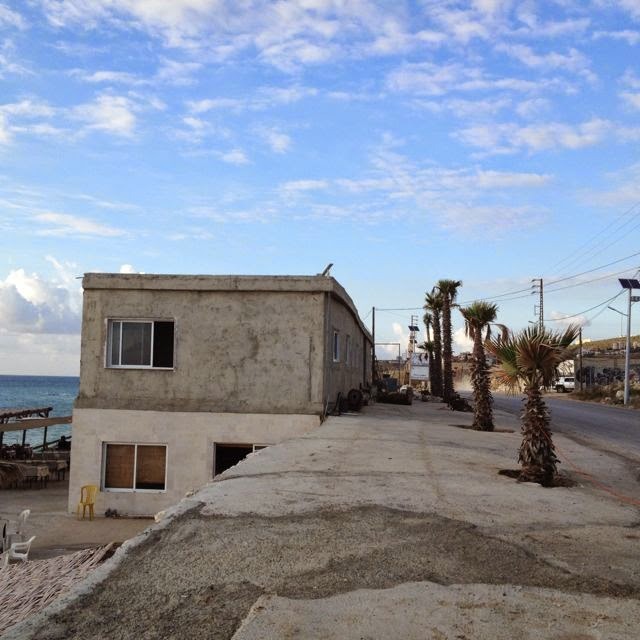 A mega seafront project was planned for Dalieh, but activist multi-pronged legal, design and research efforts have helped slow that. 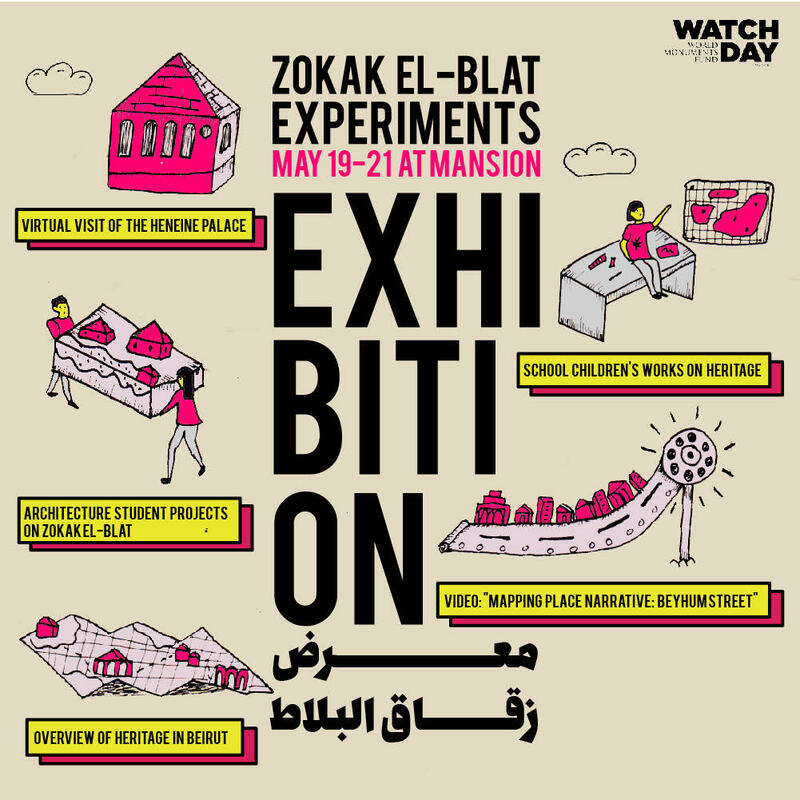 Meanwhile Heneine Palace is located in the heart of one of the city’s oldest neighborhoods, Zokak el Blatt, which is rapidly being erased by glass towers, gentrification and real estate barons. Neither site is safe however, and activists need all the volunteers, voices, shares and feet they can get. Here’s the full schedule below the map. Tell your friends, your cousins. Bring your mother. Scroll down to the end of post for event posters and GIFs at the end. 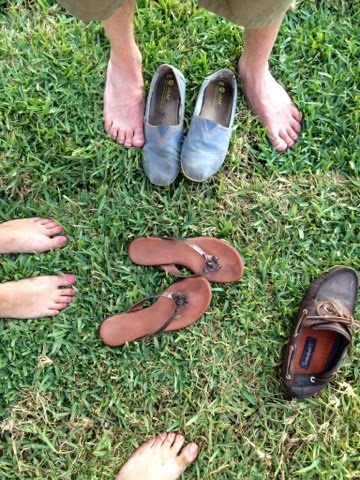 Share, share, share. 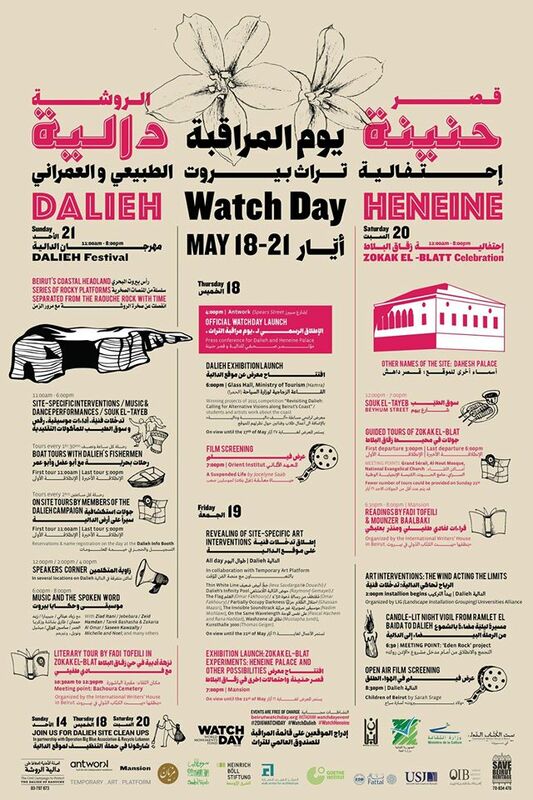 The work of the winners of 2015’s Dalieh Ideas Competition “Revisiting Dalieh: Calling for Alternative Visions along Beirut’s Coast” will be displayed alongside the work of universities, students and artists engaged with the coast. Revealing of site-specific art interventions in collaboration with Temporary Art Platform. On view until Sunday May 21st. 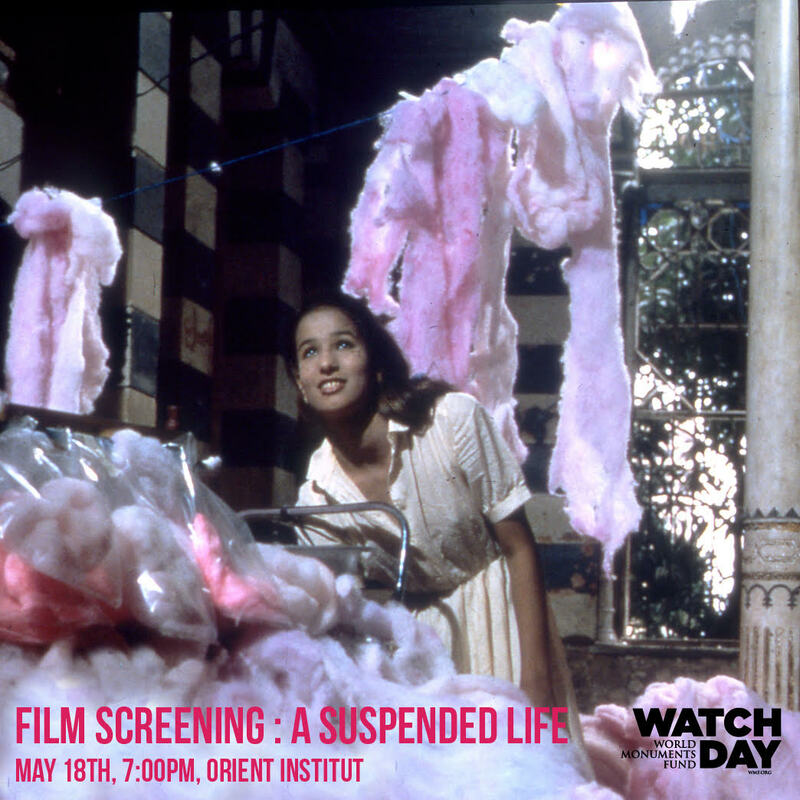 Thin White Line (Ieva Saudargaitė Douaihi), Dalieh’s Infinity Pool (Raymond Gemayel), The Flag (Omar Fakhoury), 4’50 (Omar Fakhoury) Partially Occupy Darkness (Ghassan Maasri), The Invisible Soundtrack (Nadim Mishlawi), On the Same Wavelength (Pascal Hachem and Rana Haddad), Washzone (Mustapha Jundi), Kunsthalle 3000 (Thomas Geiger). First departure at 3:00pm, last departure at 6:00pm. A walk of the neighborhood during which Fadi Tofeili will comment, from passages of his books, the places that he mentions in his writings. Use of Dalieh is believed to date back to the copper age (5,000BCE) and the site is also reportedly mentioned in ancient Greek myths. The following article originally appeared in Take Part, a US-based online publication that has recently ceased operation. I’m posting it here in case the Take Part website is taken down during the corporate restructuring period. 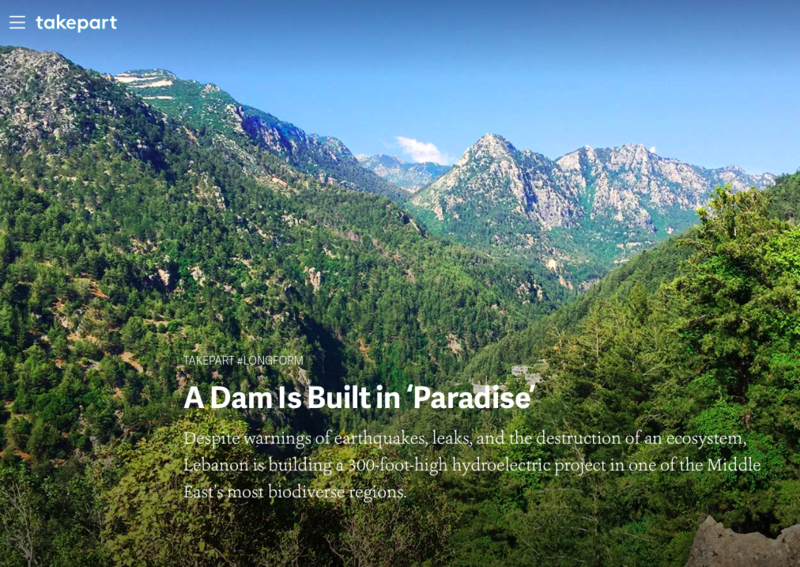 Despite warnings of earthquakes, leaks, and the destruction of an ecosystem, Lebanon is building a 300-foot-high hydroelectric project in one of the Middle East’s most biodiverse regions. 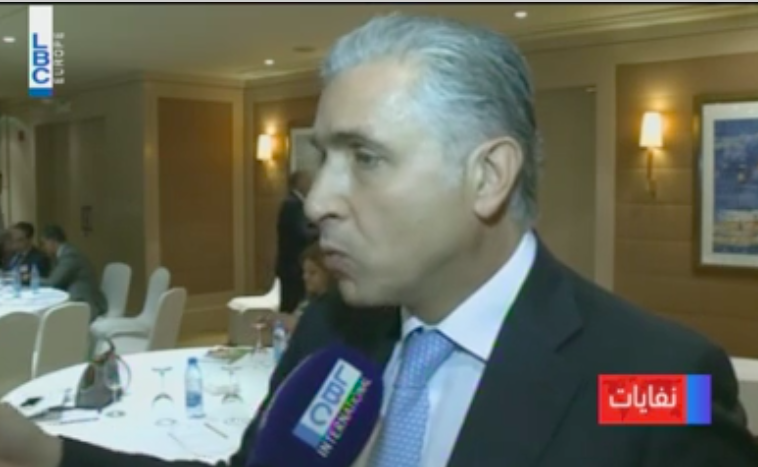 A regular contributor to Al Jazeera and BBC World, Habib Battah is founder and editor in chief of The Beirut Report. JANNAH, Lebanon—At the bottom of a lush valley between rocky peaks of Mount Lebanon, strawberry farmer John Abu Akar may be the last man standing in the path of a dam project worth hundreds of millions of dollars. But he has a few tricks up his sleeve. When a minister’s motorcade of tinted-window SUVs rolled through his village in 2012 to announce the multinational project, Abu Akar sabotaged the signs directing visitors to the location of a press conference so they pointed instead down the gravel path leading to his farm. Around 10 black American-model vehicles soon pulled in; security agents jumped out and confronted Abu Akar. Unaware that they were in the wrong place, they demanded he move his car from where it was parked in front of his house. They told him they worked for Gebran Bassil, one of Lebanon’s most prominent politicians and the dam’s chief proponent. “Who is he? What does he do for a living?” Abu Akar asked them, playing dumb. Sitting on his porch with a beer in hand, the half-shaved 37-year-old recalls the story with a wry smile as the Abraham River rushes behind him. “We made fun of them a little,” he says, laughing. Four years later, the reality is more sobering. Work on the dam, which will be one of the biggest in the Arab world if completed, began last year, leaving wide swathes of the valley carved out and thousands of trees bulldozed. (A claimed completion date of 2016 seems unlikely to be met.) Most of the farms and homes in Abu Akar’s village, known as Jannah—Arabic for “paradise”—have been leveled. Jannah sits on the upper banks of the Abraham River, which runs beneath snowcapped peaks to the Mediterranean Sea, about 12 miles downstream from Abu Akar’s home. It cuts a winding path through the verdant Adonis Valley, which is lined with waterfalls and natural springs and home to some 700 animal and plant species, making it one of the most biodiverse regions in the Middle East. 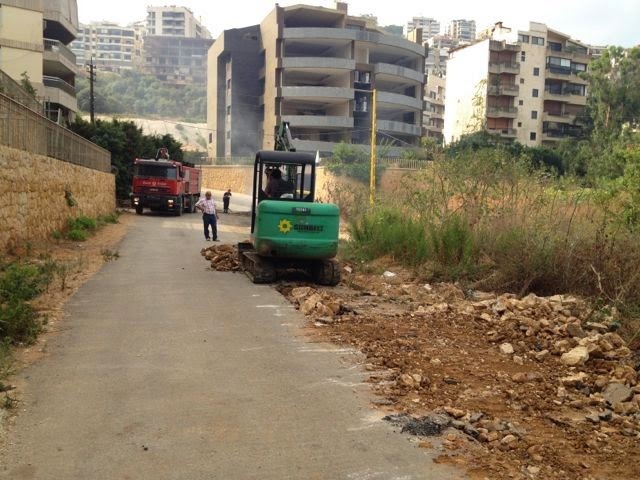 Experts warn that blocking the river and building the dam, which will require flattening up to 500 acres of hillside forest, will not only stifle the river flow and destroy natural habitats but endanger a vast underground network of aquifers that feed Beirut’s primary water source, the Jeita spring. The spring, 20 miles southwest of Jannah, produces a subterranean river that courses through the Jeita caverns, a major tourist attraction and a symbol of national pride seen on postcards and currency notes. Cutting off the flow of the river could significantly drain the Jeita spring, according to the Hannover, Germany–based Federal Institute for Geosciences and Natural Resources, which conducted a multiyear study of the project. 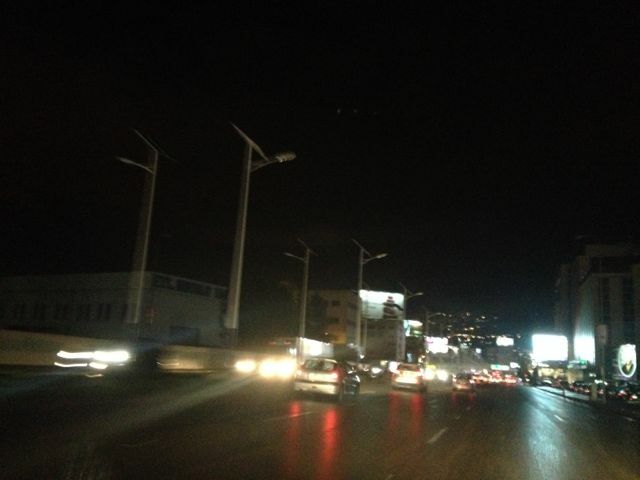 Thus providing electricity and water to one part of Lebanon may threaten the water supply of its capital. The institute also found that because the dam is to be built on a porous rock formation, most of the 10 billion gallons of water proponents claim it will store will be lost, absorbed by the earth. “In view of the current findings, it is strongly recommended not to go ahead with the construction” planned, the institute concluded in 2012. Despite the Lebanese state commissioning the German institute to undertake its study, which involved three years of field testing, the Ministry of Energy and Water’s advisers have dismissed the results as “totally wrong” and politically motivated. 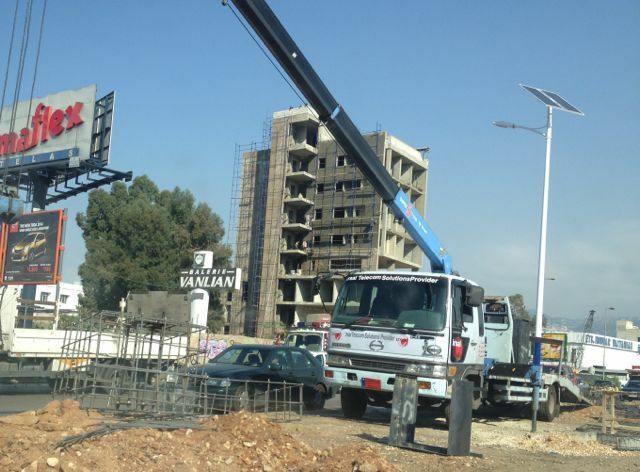 They have also rejected the complaints of Minister of the Environment Mohammad Machnouk, who said the project failed to provide an adequate environmental impact study and lacked approval from his office. Yet the digging and razing continues. The Ministry of Energy and Water places the initial budget at around $300 million, which includes the cost of a hydroelectric plant and the 300-foot-high dam. Activists and environmental experts say the budget is likely to mushroom to closer to $1 billion when factoring the costs of land purchases, annual maintenance, and a tunneling system to deliver the water. The principal contractor, Brazilian conglomerate Andrade Gutierrez, made headlines last year when its chief officers were arrested in São Paulo as part of an alleged corruption scheme to inflate prices on major projects. The firm paid $286 million to settle the charges in a plea deal reached in May. Dam opponents say the company’s track record gels with postwar Lebanon’s notorious record for state corruption and white elephant infrastructure projects. RELATED: Four Salmon-Blocking Dams to Come Down in the U.S.
Aside from wasted funds, experts say the dam will exact a heavy toll on the environment. Its human presence dating to antiquity, the Adonis Valley is named after the Phoenician deity, the favorite lover of Aphrodite, whose killing by a wild boar, legend has it, is what turns the river red once every year. (More likely, the hue comes from sediment that pours through at the end of the winter.) All along the banks of the valley’s Abraham River are temples to Adonis and other archaeological sites, including Ottoman-era mills and stone bridges. It is believed that the Phoenicians used the river to float timber to their Mediterranean port of Byblos, from where it was shipped to Egypt to build furniture, rooftops, and ships for the pharaohs. 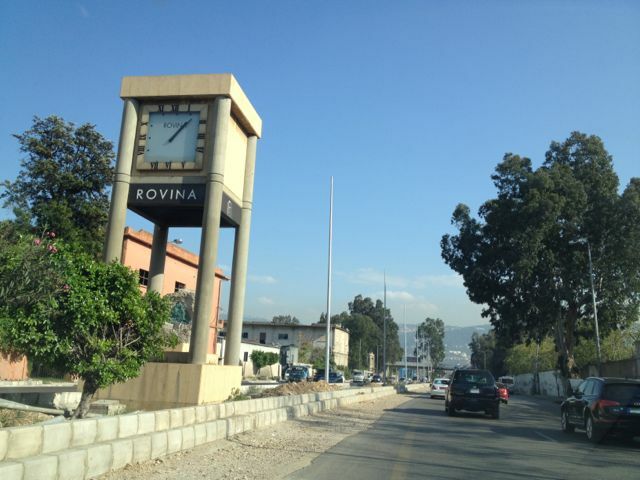 A thousand years later, the Romans built a series of staircases throughout the Adonis that connected it to their temples and palaces in the Bekaa Valley; portions of the route still can be traversed. Following logging of the valley by successive civilizations, from the Babylonians to the Persians, the Roman Emperor Hadrian banned the felling of trees in the first century, making the region one of the world’s first protected forest reserves. Latin inscriptions announcing the prohibition can be seen carved into boulders across the valley. During summer Sundays, narrow roads leading through the reserve are thronged with cars and buses full of families out to picnic and camp along the riverbank. Since its establishment in 2007, the reserve has been producing maps and publications categorizing and documenting the hundreds of flora and fauna species native to the area and carving paths to archaeological sites such as the Hadrian inscriptions and the Adonis temples. Barakat says the reserve receives 10,000 visitors per year, which it hopes to boost by supporting family-owned inns. In the summer months, the Abraham River, fed by snowmelt, is reduced significantly, creating wading pools among the rapids. Barakat says government flow studies failed to take into consideration seasonal changes, evaporation, or filtration down to underground resources—a finding confirmed by the German team, which concluded that existing flow meters are outdated and inaccurate. The Ministry of Energy and Water maintains that the impact on nature will be limited and that the number of trees cut so far is only 5,000 and will not exceed 50,000. Repeated attempts to contact the ministry went unanswered. 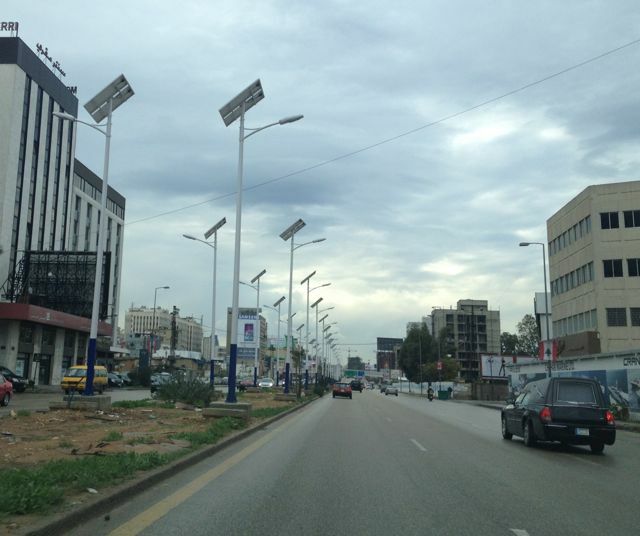 Although Jannah is one of the largest state projects in Lebanon’s history, no environmental impact assessment was carried out before construction began. Public reviews are not protocol in Lebanon. Because sectarian politicians and affiliated sectarian media often scapegoat personalities and individual rivals rather than address broader, more complicated public service problems—which could implicate the attackers’ own side as well—such projects are seldom investigated and proceed with little oversight. Only after a group of hikers and environmentalists encountered signs in the valley announcing the project two years ago was a complaint lodged with the environment ministry. Other experts are convinced that the dam will not even succeed at its principal aim: retaining water. The entire Adonis Valley is underlain with porous karst stone foundations, jagged rocks ubiquitous throughout the country that give rise to the limestone caves, underwater aquifers, and springs spread across Lebanon’s mountain ranges. Video captured by a drone shows damage to the Adonis Valley as a result of construction on the Jannah Dam project. Along dirt tracks on the drive to Jannah, recently carved wide for construction vehicles to pass, limestone facades are evident along the freshly cleaved mountainsides. A six-foot-wide cave opening can be spotted, partially obstructed by a pile of rock crushed to create an access road for construction vehicles and equipment. Inside are several deep crevices, one filled with stalactites hanging from its ceiling. The Ministry of Energy and Water maintains that it will seal the porous valley floor through grouting, a technique in which concrete is injected across the inundation area behind the dam. The German team described this move as “practically impossible” and maintained that any attempt to seal the valley floor would “significantly reduce” the flow to the Jeita spring, which it estimates provides 75 percent of Beirut’s water. Several dams built on karst foundations, the permeability of which can compromise the integrity of the structure, have failed or faced severe problems in the United States. A 2009 report prepared for the U.S. Army Corps of Engineers noted that half the U.S. dams deemed “unsafe or critically near failure” were built on karst foundations. “Numerous attempts at grouting solution features in karst have been ineffective,” and “grout has proven to be a short-term risk reduction measure,” it stated. The report concluded by listing a number of “minimum steps” to reduce failure, such as building deep underground walls to attempt to hold water back, though it does not indicate the success rate of such measures. Mosul Dam in Iraq, built on karstified rock in 1984, is facing the imminent threat of collapse, according to both Iraqi and American engineers. The Corps called the dam “the most dangerous in the world,” forecasting that a collapse could release a wave of water more than 40 feet high that would submerge Mosul and flood Baghdad, killing up to 1 million. Although warned repeatedly about the unstable nature of the rock by successive foreign consultants, Saddam Hussein’s regime ignored this advice and went ahead with the project, viewing it as a symbol of state power and vowing to use grouting as a solution. Problems emerged two years after construction, when the structure was compromised as water running through the bedrock began eroding caves and causing them to expand. Despite a reported 104,000 tons of grout poured over the dam’s lifetime, new problems arose after the 2003 U.S.-led invasion, when the maintenance operation, which involved a 24-hour-a-day concrete injection schedule, came to a halt. At a height of 367 feet, Mosul Dam is only slightly taller than the Jannah Dam, although its carrying capacity is far smaller. In Lebanon, the Chabrouh Dam, completed in 2007, also sits on karst rock. Researchers say the dam is now leaking at a rate of 52 gallons per second. The recently completed Brisa Dam is largely empty, as seen in pictures distributed by activists. The country’s largest dam, the Litani, built in the 1970s on the advice of the U.S. Department of the Interior’s Bureau of Reclamation, has failed in its expectations to deliver water to farms across the arid Bekaa Valley. 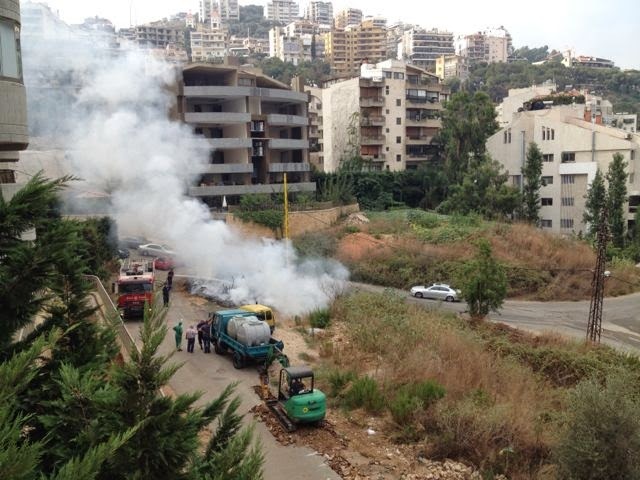 It now irrigates just 1.5 percent of Lebanese agriculture and leaks some 80 gallons per second, according to Riachi. “These are all failures,” he says. Another major concern is that the Adonis Valley is a high seismic activity zone, with three fault lines traversing the axis of the proposed dam, according to a United Nations Development Programme preliminary study of the project in 2008. The presence of the faults was the study’s second-biggest concern following the presence of “pervious karst” beneath the dam axis. In a conference hall at the new Hilton Beirut Habtoor Grand hotel, which towers over the concrete sprawl of Beirut, a line of suit-wearing, stone-faced parliamentarians sat awaiting the start of a televised pressconference. Hastily organized by the Ministry of Energy and Water in response to growing criticism of the Jannah Dam project, over the course of nearly two hours the June 3 conference paraded contractors, architects, and project consultants before the cameras to present a series of charts, which they said proved their assessments of the project were sound. In the front row were members of the political coalition supporting the dam project, led by Gebran Bassil—the former minister whose route Abu Akar had blocked in 2012. A rising star in politics, Bassil, 46, now heads the Free Patriotic Movement, a powerful parliamentary bloc founded by his father-in-law, Michel Aoun, a former army commander. 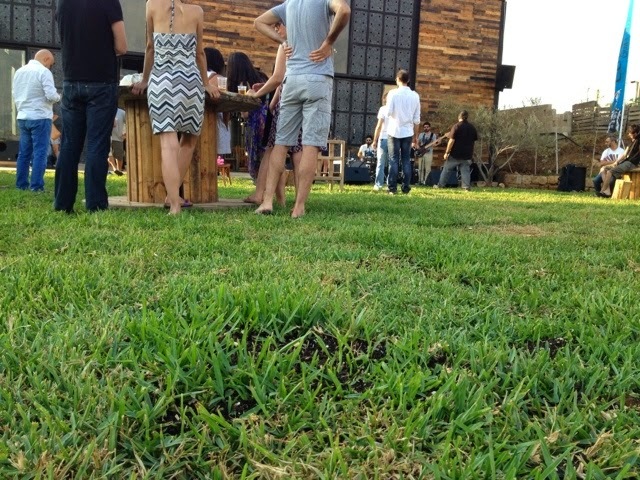 The station covering the event, known as a mouthpiece for Aoun, regularly panned its cameras toward Bassil and other members of his coalition. Throughout multiple presentations, the German team was constantly dismissed as producing “a viewpoint,” not “science,” while its series of reports, released in 2012, were called “old,” allegedly disproved by subsequent tests carried out by the prominent local engineering firm Khatib & Alami. The company, which has executed a significant share of government contracts over the last several decades, also claims that soil samples from the site indicate an “excellent” quality of stone and “no possibility” of leakage. Khatib & Alami’s tests were not made available. 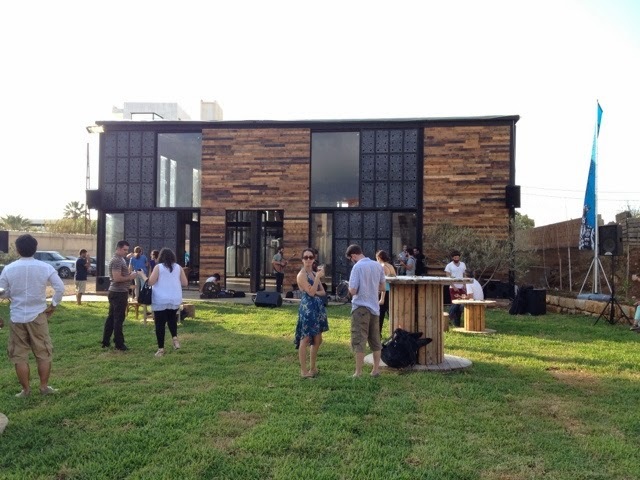 It was largely a party affair; only a handful of journalists or average citizens attended, and there was no discussion of grouting and the industry-wide skepticism about it. At one point, Khatib & Alami lead engineer Adel Abou Jaoude held up a printout of a report from the French consulting firm SAFEGE, highlighting one key sentence on an overhead projection: “We have a favorable view toward building the dam.” What Jaoude failed to mention was three subsequent paragraphs qualifying the statement with the condition that the floor of the dam reservoir be sealed or grouted to prevent leakage. The report states this would be a “very difficult” task and could increase the costs of the project. The SAFEGE report confirms a positive soil finding on one side of the riverbank; testing on the other side—the side especially rich in karst stone—is pending. With near constant political instability and unregulated crony capitalism in Lebanon, maintenance of the dam could become a critical issue. 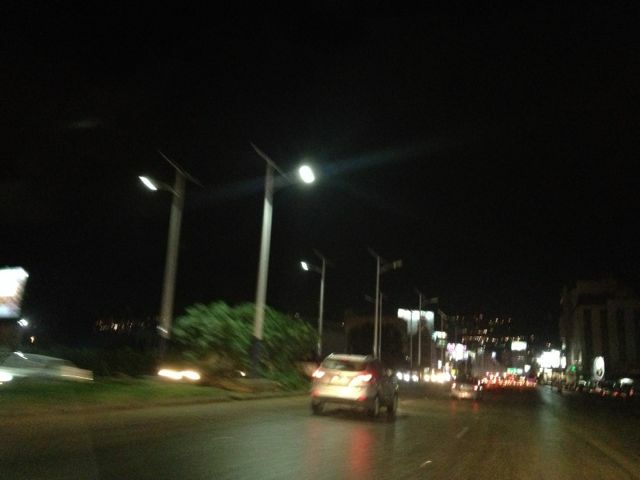 The Lebanese state is infamous for its failure to maintain and deliver public services such as electricity and water. Despite billions in investment, the state electricity company’s power plants and transmission networks have suffered blackouts up to 12 hours per day for 30 years. Garbage collection is equally problematic, with waste regularly dumped into rivers and rural areas or flushed untreated out to sea and a raft of failed sanitation and sewage projects. 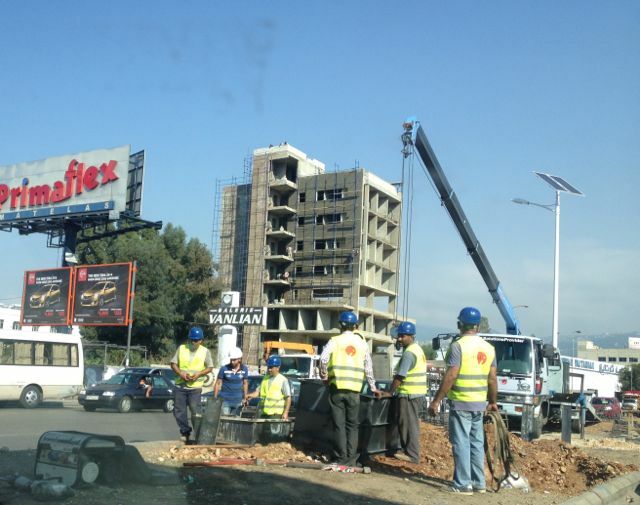 Beirut’s streets were lined with piles of trash last year following the overburdening of the country’s main landfill, due to a lack of oversight and planning by government bodies. Several municipalities resorted to burning their trash, sending cancerous toxins into the air, according to local university studies, which also warned of garbage residue from the piles seeping into groundwater and affecting agricultural production. The crisis, which led to extensive street protests, persists a year later, with plans now to create landfills along the Mediterranean, adding more pollution to existing sewage drains along the once pristine coast. The nation’s potable water network is no outlier in the state of dysfunction. Tap water runs only a few hours per day; most households are equipped with plastic rooftop reservoirs, and residents are often reduced to buying water from private trucks. Because neither the tap water nor the private supply is treated, nearly the entire country is forced to buy crates of bottled water for drinking and cooking. Poor maintenance and mismanagement by the ministry and its labyrinth of regional water agencies are a major part of the problem. A 2011 studyconducted by one of the government’s engineers found that nearly 50 percent of water in the network is lost because of outdated infrastructure and leaking pipes. Some aqueducts are more than 100 years old; Beirut’s main pumping station was built in 1896 and cannot be expanded. After the technical presentations, the press conference took a decidedly political turn as Bassil was introduced to much fanfare. The dam project will create an annual state revenue gain of some $180 million, Bassil said, though he did not reference the $100 million environmental cost Gicome calculated. Known for his off-the-cuff remarks, Bassil dismissed concerns about the fault lines running beneath the dam, saying, “If it’s seven on the Richter scale, then who cares? 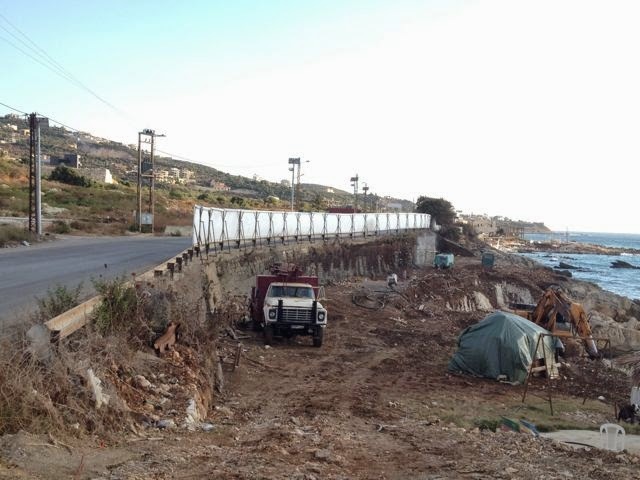 All of Beirut will be gone anyway.” Government-hired experts had earlier claimed the dam’s concrete structure would help protect against earthquakes and that disaster is unlikely. “Only 12 dams have been ruptured in the past,” said a French expert working with Khatib & Alami. 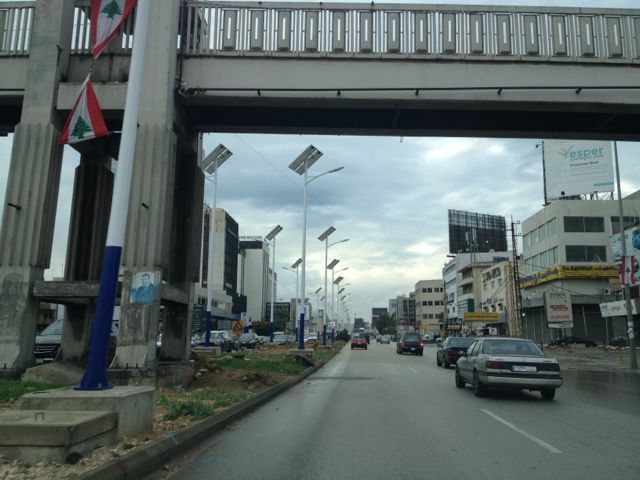 Bassil is famous for promising during his term as energy and water minister 24-hour electricity in Lebanon by 2015. (He also promised, during his stint as telecom minister, fiber-optic internet by 2010.) 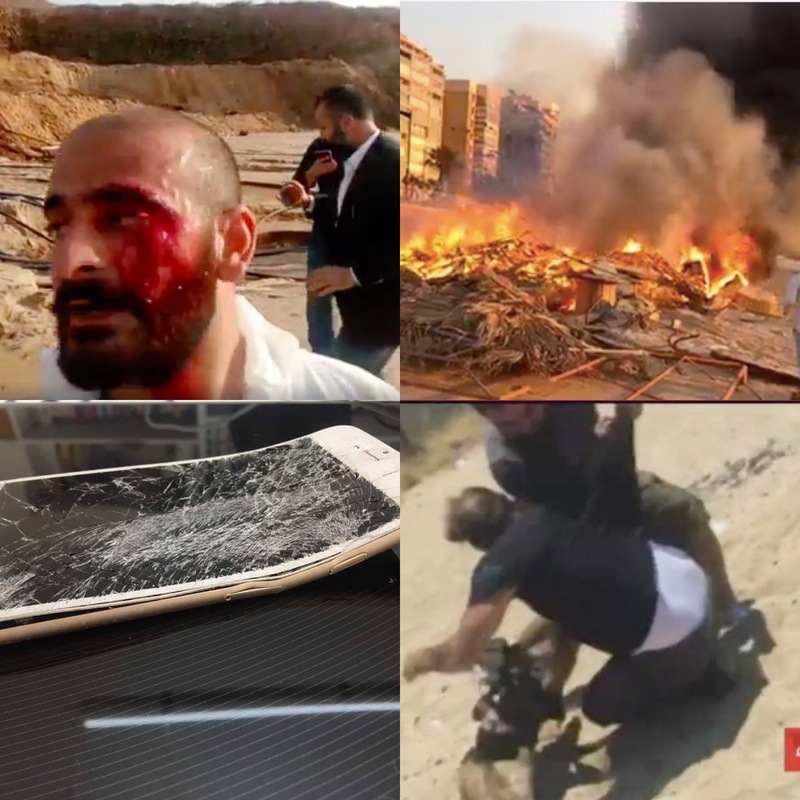 With blackouts worse than ever this summer and internet speeds in Lebanon still among the world’s slowest, the hashtag #BlameBassil has periodically trended as the population complains on social media about public service failures. Though Bassil has been appointed minister of foreign affairs, he maintains a frequent presence at events related to the Jannah Dam. At the hotel press conference, he touted the project as a pillar of “strategic national interest” and security and spoke in conspiratorial tones when describing opposition to the dam. The deep commitment to harnessing water and dam building in Lebanon far predates Bassil and his coalition. 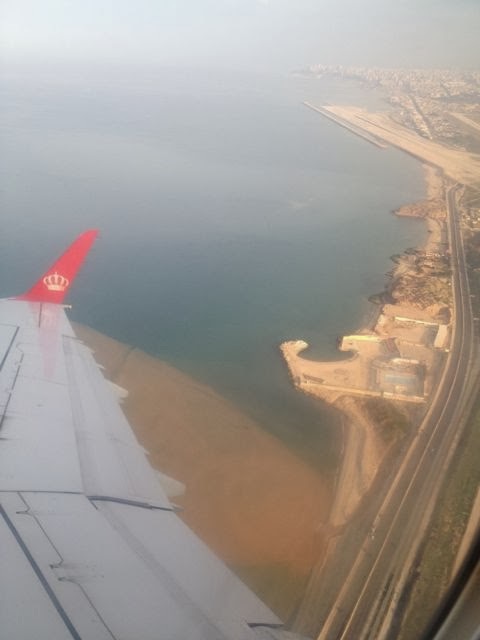 The notion that Lebanese rivers flowing to the Mediterranean are wasted dates back to the French mandate period: The precolonial water management system, wrote Riachi in an op-ed for Beirut newspaper paper Al-Akhbar, “was judged too archaically managed by the locals and needed to be modernized by a good-willed colonizing power.” This notion was extended during the 1950s, when American engineers first proposed the Jannah Dam as part of diplomacy efforts at the height of the Cold War. Today, Lebanon is embarking on $1.9 billion worth of future dam projects, many of them supported by loans from international lending organizations such as the World Bank. In the hills overlooking Jannah, Andrade Gutierrez has set up dozens of mobile homes for its engineers in the picturesque mountain village of Kartaba. 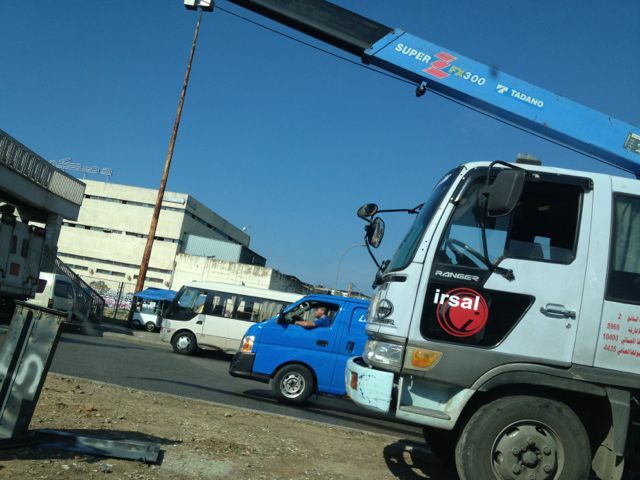 The firm is celebrated for creating jobs and bringing traffic to local business. In the town’s main square, the windows of offices rented by the company are covered with decals showcasing its projects; a giant rendering of the Jannah Dam is spread across an entire storefront. Down below in Jannah, however, farmer Abu Akar is bent on giving Andrade Gutierrez hell. 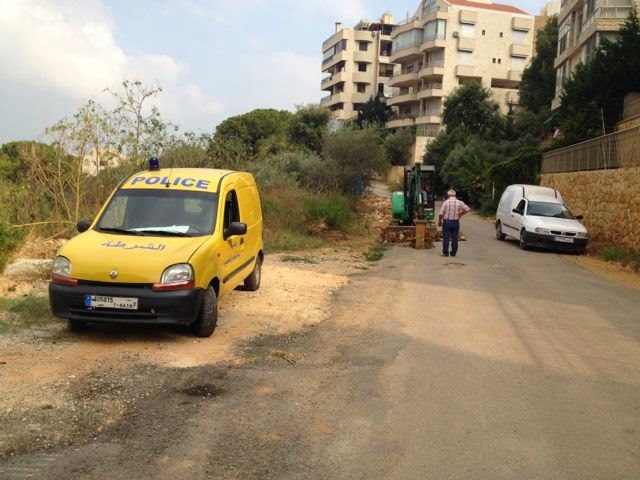 He regularly chucks rocks at the passing dump trucks because, he says, in addition to the destruction of the valley, they operate on Sundays in contravention of Lebanese law. His sister parks her Jeep strategically on the narrow road leading to the site to obstruct traffic flow. But it is a lonely battle. Abu Akar walks up to a home built of roughly cut boulders, with a porch made of straw and tree branches. Its former occupants, his great-grandparents, are buried under a slab of tombs around the back, near a one-room church with a dozen dusty pews. (Abu Akar says his great-great-grandfather was the first to settle in Jannah, in the 1820s.) Inside, under a chandelier, hangs a fading portrait of John the Baptist wearing a gold crown as he pours water over a half-robed Jesus, knee-deep in another river, the River Jordan. Outside the church, a cast-iron bell is propped up by a piece of decayed wood wedged between two gnarled olive trees. The inscription on the bell says it’s from 1885. Just beyond Abu Akar’s greenhouses are vast bulldozed plains. He surveys the construction site. Once densely forested mountainsides have been shaved haphazardly, as if buzzed by a giant electric razor. Toward the center of the site lies a mound of bulldozed branches and tree trunks piled a dozen feet high, as if mauled in a natural disaster. 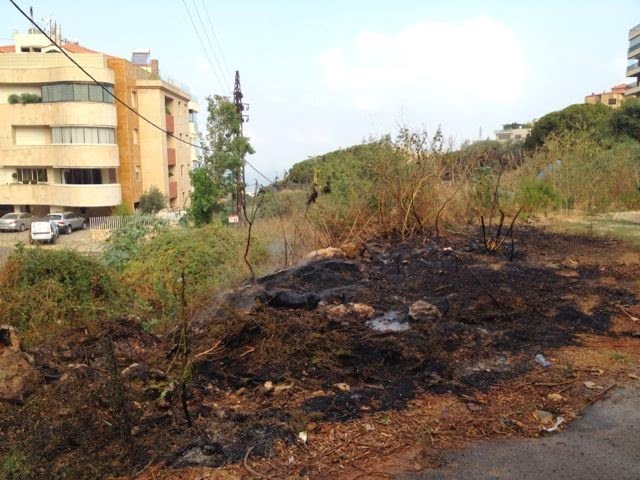 “Look at what they have done,” Abu Akar says, pointing to a large splintered tree stump. “They didn’t even cut them down properly.” The image seems to be at odds with a tree-replanting program put forward by government contractor Khatib & Alami to uproot and move thousands of the trees that needed to be cleared for the reservoir basin. Mountainsides have been reduced to loose sediment. Rockslides from the highest peaks of the excavation are evident throughout, particularly in the V-shaped section where the dam structure will be erected. Bubbly limestone facades are exposed in multiple sections of the construction area. Abu Akar says he witnessed water being pumped out of the project’s tunnel excavation, casting further doubt on the state’s claims of “excellent” rock integrity. The conference featured European guest speakers including the mayor of Copenhagen who claimed that most of his city’s garbage was recycled. But what does this mean for Beirut, what is “high technology” incineration exactly, what are the effects on public health and why is the mayor not disclosing the location or the actual technology being considered for fear of criticism? According to LBC, an incineration plant would cost over $100 million and require huge amounts of space and deep mines for dumping of the byproducts. 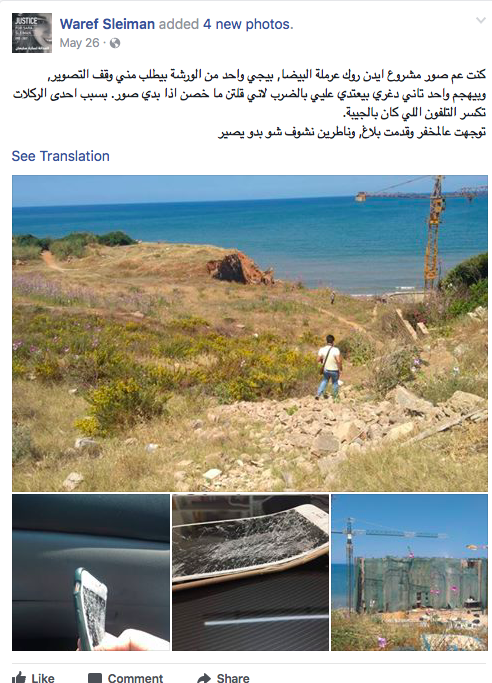 Intrepid reporter Sobhiya Najjar asks: “How can Beirut plan “high technology” incineration plant if it it cannot even sort its garbage at the source? Watch her full report here. 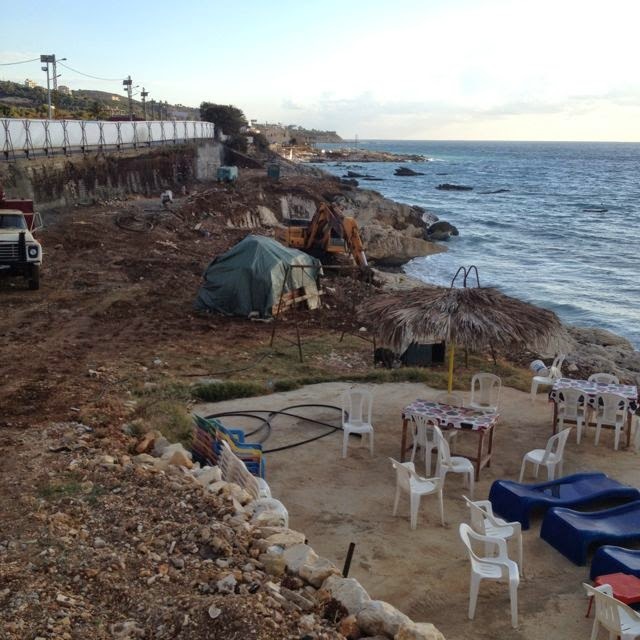 A new project seems to be chewing away the coastline in Batroun. I was able to get a few shots when I was passing by the area last weekend. 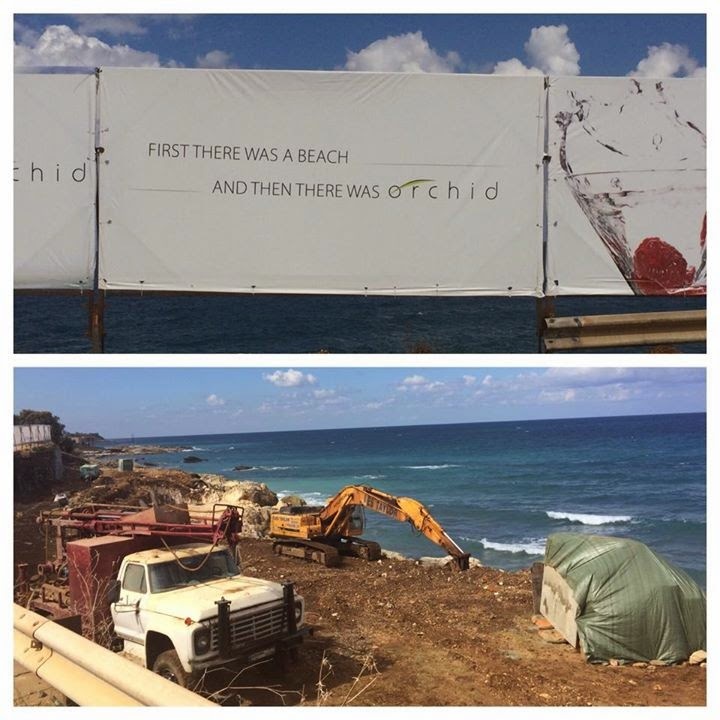 Apparently the plan is to build a new private resort by Orchid, which already runs a private beach in South Lebanon. I remember reading once that the law requires a minimum of 10 meters of space between any development and the shore line. I wonder if that law still applies and, if so, how was this project approved and who approved it? For those unfamiliar, much of Lebanon’s coastline has been privatized by resorts that charge $20 to $40 per day in beach access fees. Of course you can’t bring food or water to such resorts, so patrons will be dishing out an additional $10-$20 for a small snack and/or drink. With a per capita income of less than $1,000 per month, most Lebanese won’t be able to afford such prices and are thus barred from enjoying the coast across much of their country. 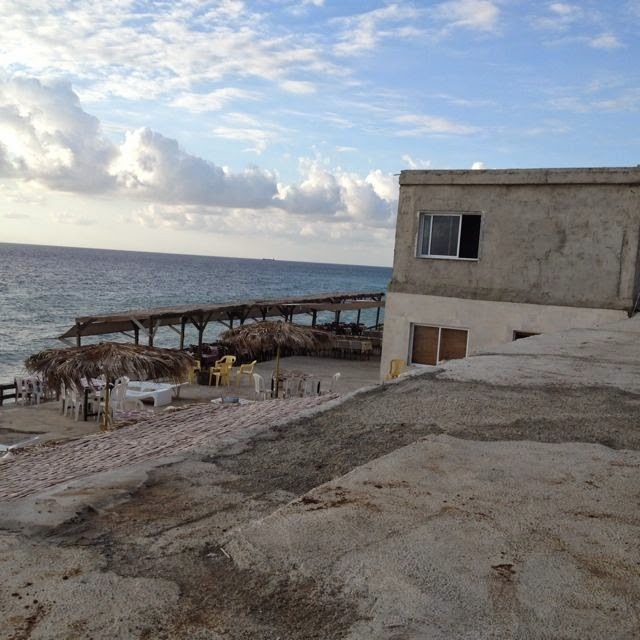 Batroun remains one of the few places where many beaches are still free and accessible to the general public. But how long will that remain the case? Surely there is more we can do about this than laugh. 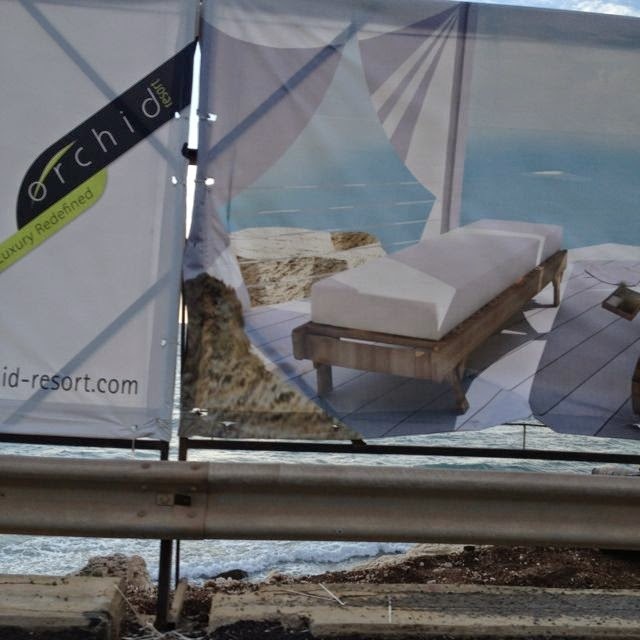 What permit has Orchid obtained for this project? Was an environmental impact assessment carried out? Who approved this permit? Will the resort pay fees to municipality? How much and where will those fees go? 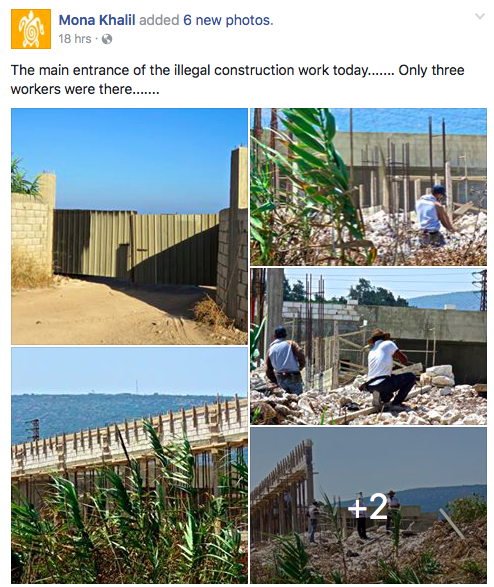 Have the people of Batroun been consulted? Have any government bodies been consulted? What is the environment ministry’s position? Thanks to Lama for pointing out Tala’s pictures. 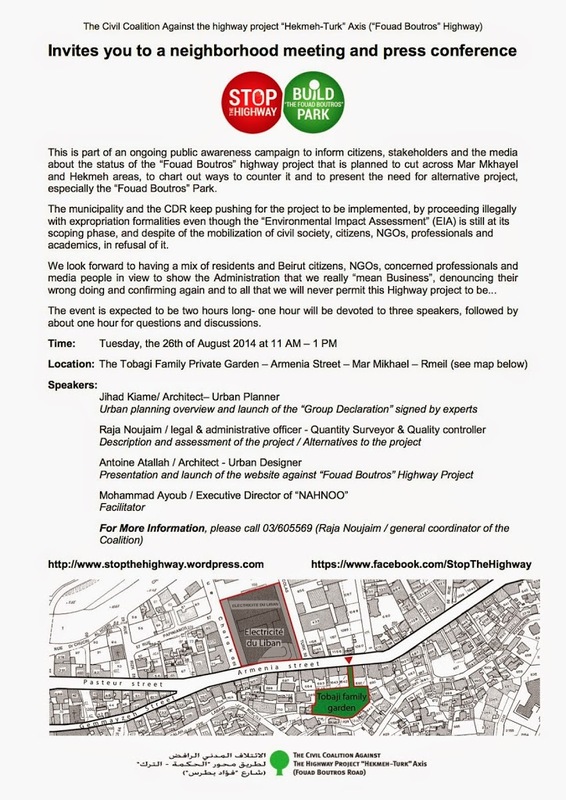 The Civil Coalition Against the Boutros Highway is hosting a panel and discussion this Tuesday on the battle against the $75 municipality-led project that will cut through one Beirut’s greenest neighborhoods. The speakers include architects, urban planners and activists leading the campaign to create a park instead of the 1.3km road that will destroy several historic homes, including one of the last remaining terraced farm in the city. 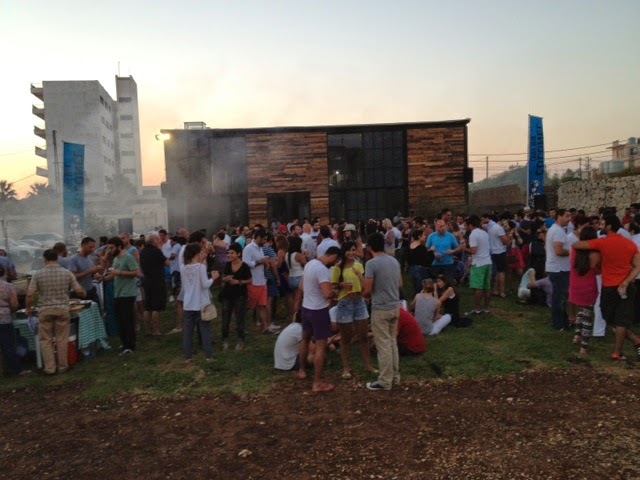 The event will take place this Tuesday August 26 at 11:00AM at the lush garden space that is threatened by the project. For background on the legal battle against the project, and the questions raised about its transparency and the impact it will have on the neighborhood, see this in-depth piece on the project in The Daily Star and blog posts about the recent protests from local residents and activists. 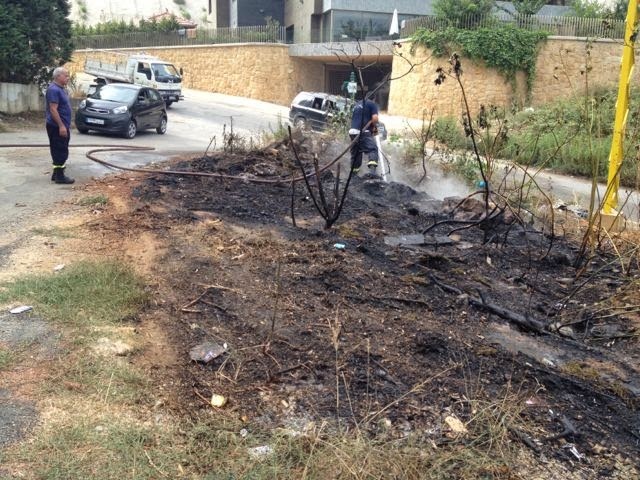 The municipality of a certain village was forced to call the fire department this week for a fire lit by its own staff. Luckily the firefighters were able to put it out before the blaze spread to the surrounding brush and caught half the mountainside on fire. 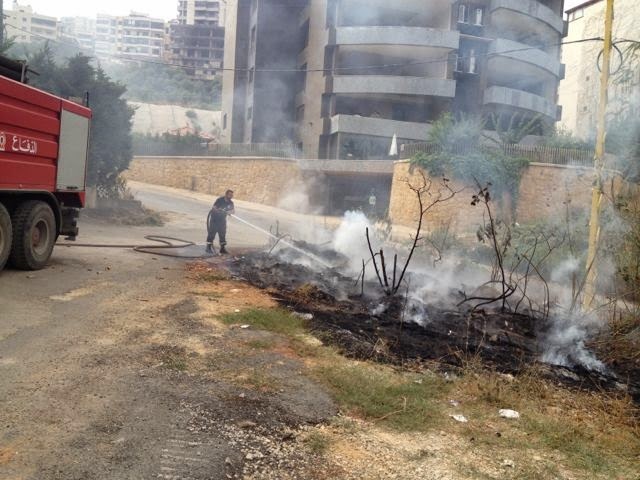 It all started when a member of the municipal police–who was supervising road works– decided to start a fire to clear the brush. “We started the fire,” the policeman said nonchalantly with a cigar in hand, when asked. “It’s nothing,” he added as he continued to supervise roadworks, with the firetruck in the background. We were also lucky that it wasn’t a windy day. Otherwise the flames could have easily spread to the dense green hillside just behind it, which is full of bone dry shrubs and connected to a beautiful pine forest in the valley. 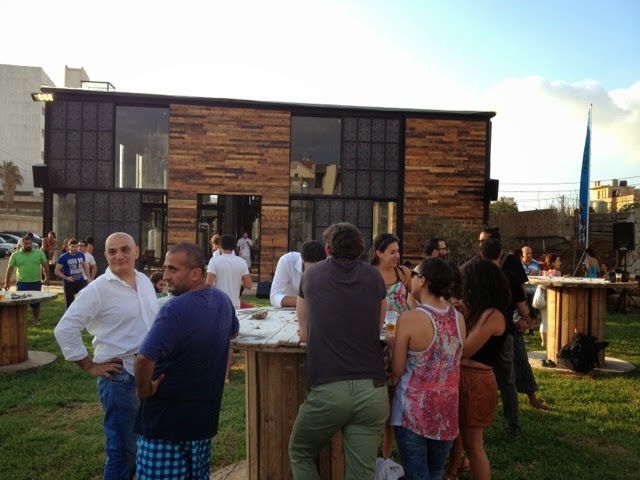 A new microbrewery has opened in Batroun, a picturesque small town on the Lebanese coast. 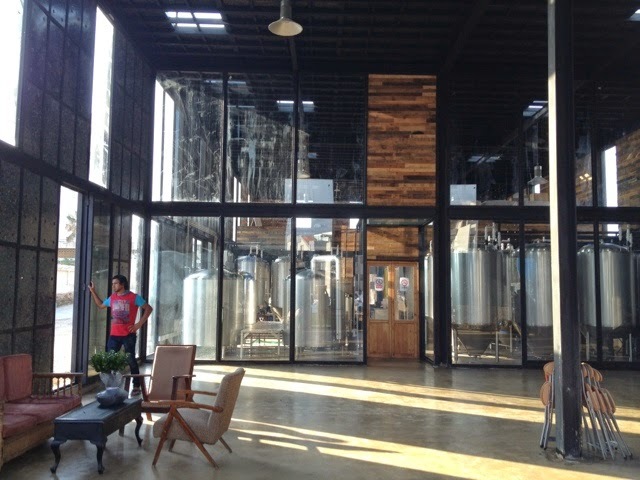 Even more cool is that the brewery building is built of recycled material: walls made of recycled wood crates and melted down plastic turned into wall panels– the equivalent of 2 million plastic bags. 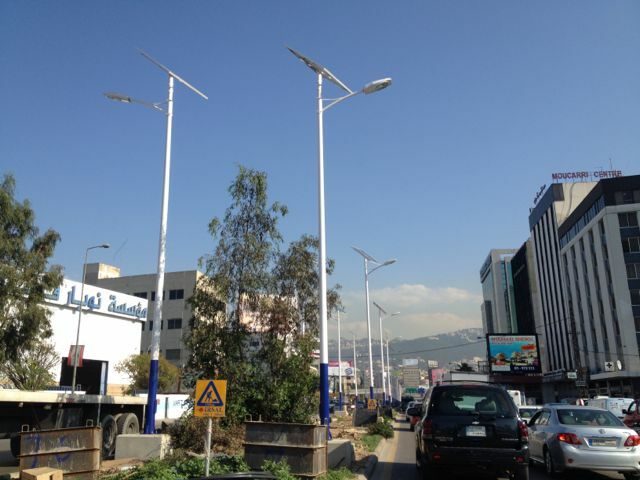 It is a technology pioneered by the local firm Cedar Environmental, headed by Lebanese engineer Ziad Abichaker. 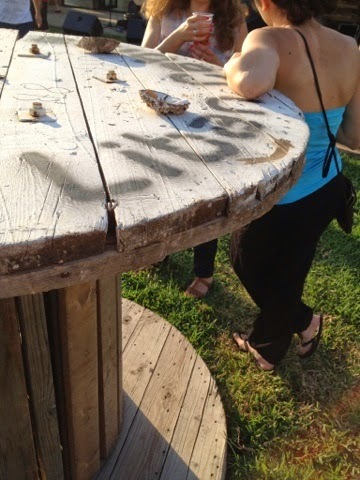 Plus tables made of old telephone wire spools, grass planted with organic recycled fertilizer. 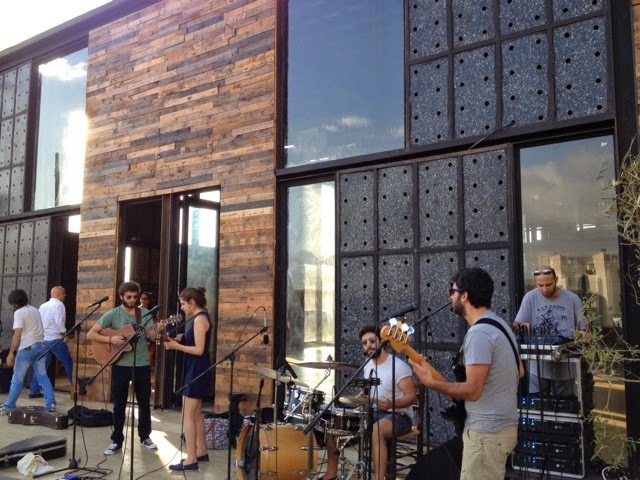 The launch party is just getting started, here are some pics. Stay tuned for my upcoming piece in Jazeera Airways inflight magazine about Ziad’s inspiring work. 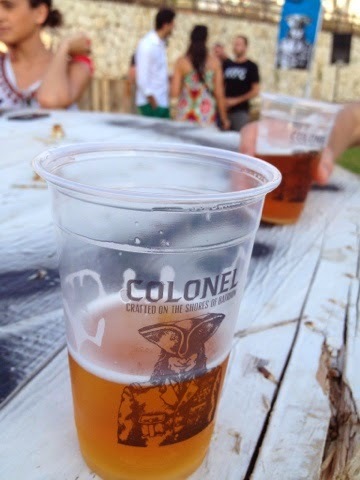 The new beer is called Colonel. 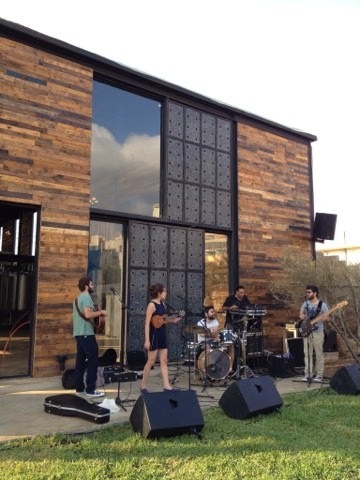 A restaurant is also set to open in the space. 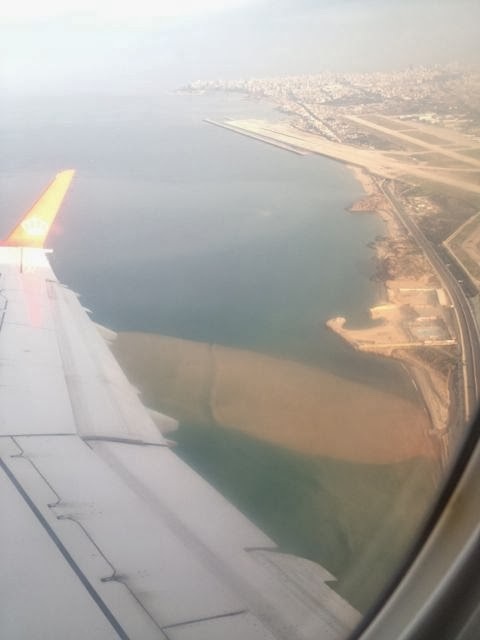 In addition to the landfill crisis on Beirut’s streets–covered on this blog yesterday— there appears to be a heavy dose of nasty brown stuff spewing into the Mediterranean near Beirut Airport, as seen in these pictures I took a couple of days ago. You can see the runway at the top right. 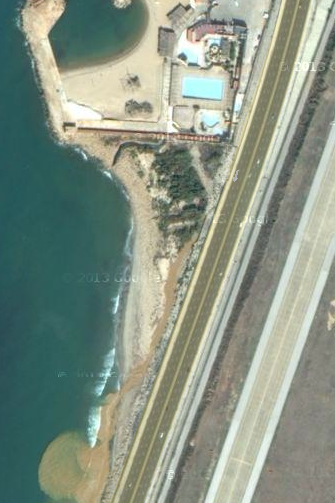 And the output point appears to be near a sea resort near Khalde, a few hundred meters before the Ouzai tunnel running underneath the tarmac. 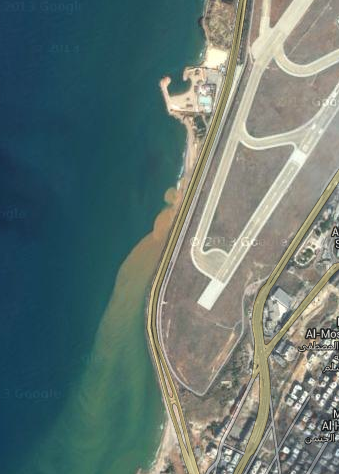 But these satellite images could be quite dated– in some parts of Beirut I have noticed Google earth images to be 2-3 years old. Judging by my current airplane window shots, could this mean that the slime has been pumped out constantly for 3 years or even much longer? No wonder Sidon and Khalde are not safe places to swim.